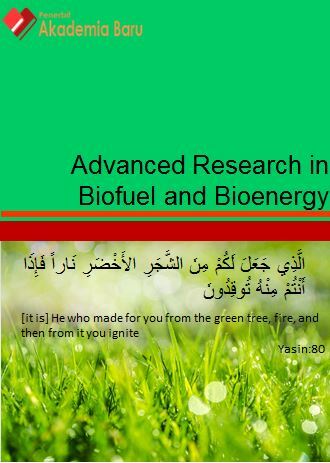 Aims and Scope : Journal of Advanced Research in Biofuel and Bioenergy offers the current research and progress on biofuel and bioenergy. The journal covers original research papers, short communications, review articles and case studies on various aspects of bio based energy including solid, liquid and gaseous fuels processed through biochemical, chemical, thermochemical, electrochemical, etc. routes for efficient and eco-friendly technologies and techno-economic studies of different processes on bioenergy and biofuels. The scopes of the journal extend to the aspects of biomass, biological residues, bioenergy processes, bioenergy utilization/applications, biomass and the environment, advanced biofuels (biohydrogen, biomethane, bioethanol, biodiesel), algae biofuels, aviation biofuels, biorefineries, and bioeconomy of biofuel.